Rana Uppalapati, a dynamic businessman from Vizag and the brand ambassador of #VizagGoingPink just came back from Berlin making us all proud. 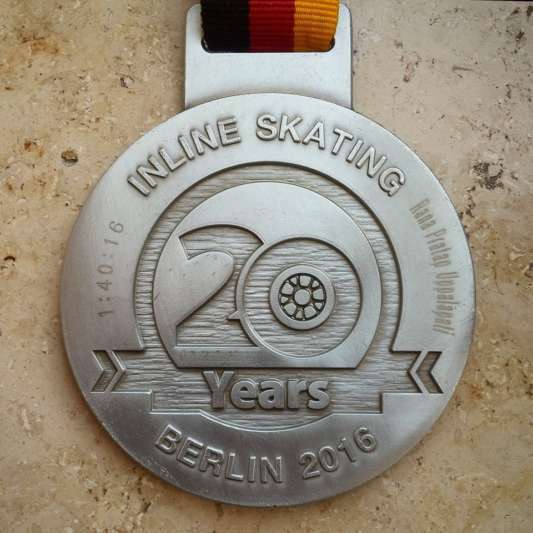 He participated in the inline Berlin Skating competition and skated at under two and a half minutes a kilometer. 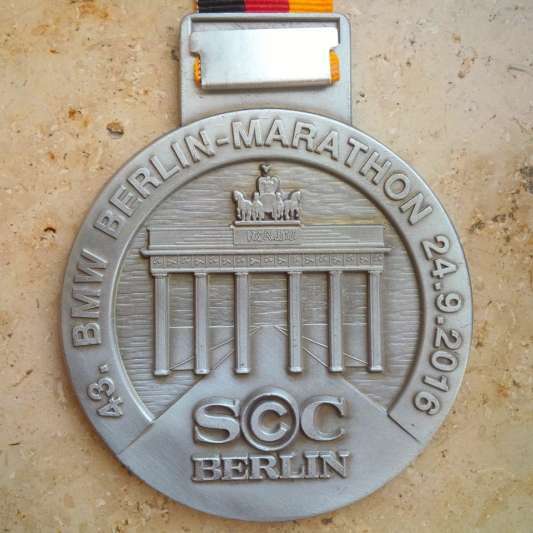 His lack of experience did become an obstacle but he made through in one hour and forty minutes. Rana Uppalapati has been making headlines for spreading awareness on breast cancer since last year. As a teen, he was a national-level skating champion and he has been making the best use of his talent. 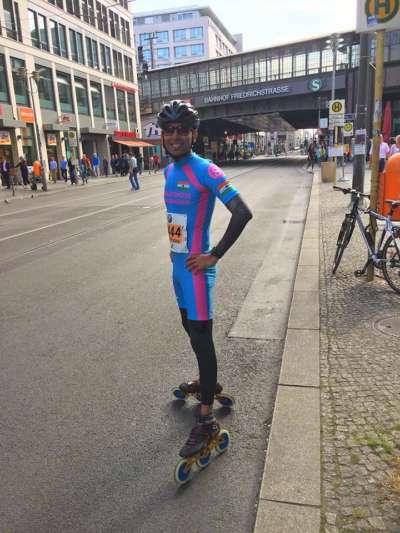 In April, he skated from Mumbai to Goa (600 kms) to promote the ‘Goa Going Pink’. 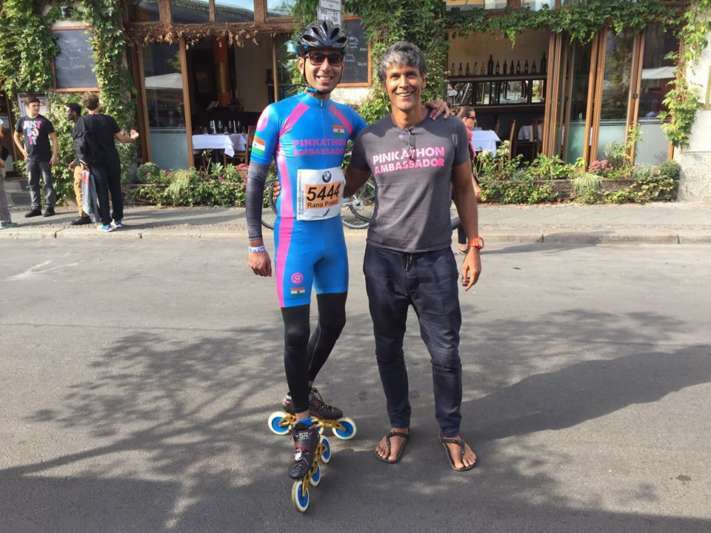 Along with the model turned actor Milind Soman, he flagged off the skate at Mumbai on April 6 and reached Goa on April 16. His sole mission is to spread awareness and educate women on breast cancer, this is one of the reasons he is closely associated with Pinkathon- a marathon to spread breast cancer awareness. He has also supported the cancer survivors by shaving his hair. On 28th May, he embarked on his skating journey from Vizag to Chennai. 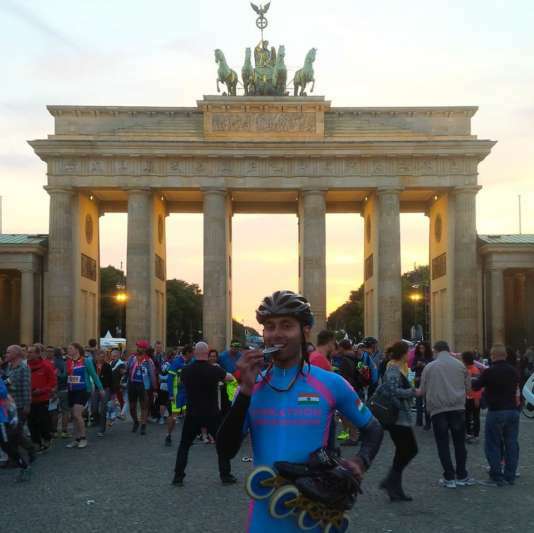 His aim was to skate for 100kms/day and to reach Chennai by 4th of June. Successfully completing his journey, he promoted Pinkathon in Chennai which was held on 5th June. Vizag is very proud of you Rana!